First things first. Who is Mario Monti? After hearing about Italy’s newly appointed Prime Minister, I put my Facebook-stalking skills to work and did my research. Boy, am I impressed! Mario Monti graduated with a degree in economics and management from Bocconi University before pursuing graduate studies at Yale. He spent almost a decade in Brussels, not for Belgium’s world-famous beer and chocolates, but because he took on the position of EU commissioner. During his term, Monti had established a reputation as an official who is cool under pressure and has a very good understanding of business and economics. Political analysts say that because of his extensive knowledge about economics, he will most likely form a technocrat government and fill his cabinet with technical experts instead of politicians. You’d think that with his credentials, Mario Monti would have the whole of Italy backing him up. But his appointment has not been without opposition. Silvio Berlusconi‘s political party, the Popolo della Liberta (PdL), is currently split between those who support and those who oppose Monti’s new government. This only highlights the risk that Monti and his men may lack parliamentary backing to support their reforms. Of course, this could negatively affect the new government’s ability to effectively implement changes down the line. Still, it cannot be denied that there is optimism for Mario Monti. Being the well-respected economist that he is, many market junkies (myself included) think that he’s exactly the kind of leader that Italy needs to steer it away from default. Personally, I see his term as a breath of fresh air from Berlusconi’s regime, which was plagued by scandalous affairs such as the much-publicized bunga bunga parties. Support for Monti’s government was already reflected in how the yield on Italy’s 10-year bonds fell more than 100 basis points from 7.48% last week. 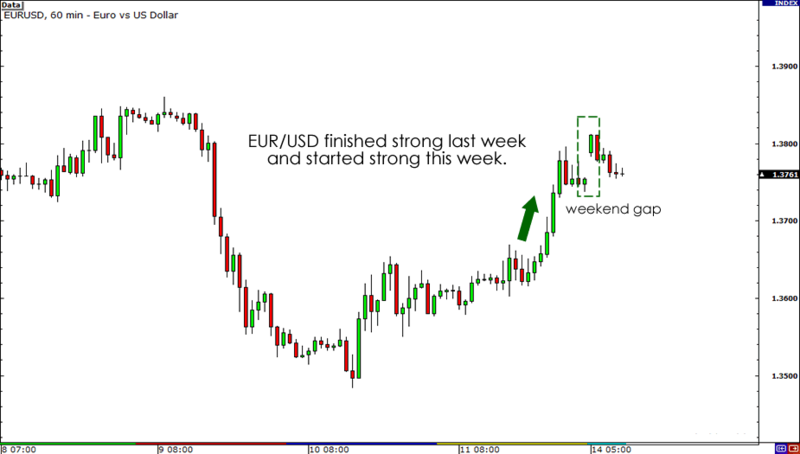 Even EUR/USD closed strong on Friday, paring the losses it recorded earlier in the week. Heck, the pair even gapped up over the weekend! Already being referred to as “Super Mario,” Monti has set his eyes on restoring Italy’s financial health and growth. Like a true superhero, he said that “we owe it to our children to give them a dignified and hopeful future.” A very noble goal, if I may say so! Now, that’s not to say that the road ahead of Monti will be any smoother than it was for Berlusconi. As Mario of the Super Mario Brothers franchise needed Luigi, Yoshi, and Toad to back him up in his campaign against Bowser, Monti will need a rad-tad gang to help him sort out the country’s balance sheets. No doubt, the new government will still have a heck of a lot of work to do as it will have to conquer Italy’s growing debt while restoring market confidence and economic growth. But the bottom line is that Monti presents a new hope and a fresh start, and that may turn out to be exactly what Italy needs to rise from its rut. Do you think Mario Monti can restore Italy’s glory days?